Where possible, articles may be accessed online by clicking on the bold text at the end of the entry. In some cases, the links are to offprints, in others to uncorrected galley proofs. In a few cases, the links lead to pay sites requiring personal or institutinal licenses. Access is granted for personal use only: reproduction in any form is prohibited wihtout the express consent of the author and publisher. “What Organisms Once Were and Might Yet Be,” Philosophy and Theory in Biology, Special Issue on Organisms 9:7 (2017) edd. A. Ferner and T. Pradeu, 1-14 Available here. “Fractured Goodness: the Summum Bonum in Aristotle,” in The Highest Good in Aristotle and Kant, edd. R. Bader and J. Aufderheide (Oxford University Press: 2015), 83-111 Available here. “Francisco Suárez,” with Daniel Schwartz, Stanford Encyclopedia of Philosophy, ed. E. Zalta (2014) Available here. “The Grounds of Logos: the Interweaving of Forms,” in Reason and Analysis in Ancient Greek Philosophy, edd. F. Miller and G. Anagnostopoulos (Springer Verlag: 2013), 211-230 Available here. “On Behalf of Cognitive Qualia,” in Cognitive Phenomenology, edd. T. Bayne and M. Montague (Oxford University Press: 2012), 215-235 Available here. “The Dialectic of Life,” Synthese 185 (2012), 103-124 Available here. “Being qua Being,” in The Oxford Handbook of Aristotle, ed. C. Shields (Oxford University Press: 2012), 343-371 Available here. 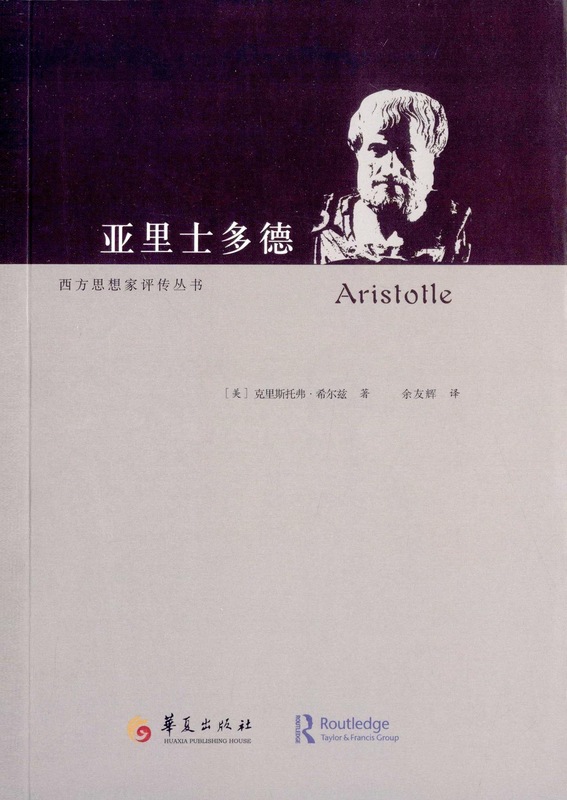 “Aristotle,” Stanford Encyclopedia of Philosophy, E. Zalta ed. 2008, revised 2014 Available here. “Aristotle: Psychology,” Stanford Encyclopedia of Philosophy, ed. E. Zalta Available here. "Simple Souls," in Essays on Plato's Psychology (Rowan and Littlefield: 2001), ed. E. Wagner, pp. 137-156 Available here. “Intentionality and Isomorphism in Aristotle,” Proceedings of the Boston Area Colloquium in Ancient Philosophy XI (1995), edd. J. Cleary and W. Wians, 307-330 Available here. “Mind and Motion in Aristotle,” in Self Movers (Princeton University Press: 1994), edd. M. L. Gill and J. G. Lennox, pp. 117-133 Available here. “The Truth Evaluability of Stoic Phantasiai: Adversus Mathematicos VII 242-46,” Journal of the History of Philosophy 31 (1993), pp. 325-347 Available here. “Some Recent Approaches to Aristotle's De Anima,” in Aristotle's De Anima II and III, Second Edition, translated with Introduction and Notes by D. W. Hamlyn (Oxford University Press: 1993), 257-281 Available here. “The First Functionalist,” in Essays on the Historical Foundations of Cognitive Science (Kluwer: 1990), ed. J.-C. Smith, 19-33 Available here. “Soul and Body in Aristotle,” Oxford Studies in Ancient Philosophy Vol. VI (1988), 103-137; reprinted in Classical Philosophy VII: Aristotle's Metaphysics, ed. T. Irwin (Garland: 1995), 209-243 Available here. Smith, Barry, ed., Questions of Taste (Signal Books: 2006); in The Times Literary Supplement, 28 November 2007. Available here. Phronesis; Ancient Philosophy; Apeiron, Oxford Studies in Ancient Philosophy; The Philosophical Review; The Australasian Journal of Philosophy; Transactions of the American Philological Association; Philosophy and Phenomenological Research; Philosophical Research; Classical Philology; Archiv für Geschichte der Philosophie; Proceedings of the Boston Area Colloquium in Ancient Philosophy; Mind; Dialectica; Journal of the History of Philosophy; Ancient Philosophy; British Journal for the History of Philosophy; Journal of Hellenic Studies; Philosophical Quarterly; Philosophical Studies, Philosophers’ Imprint.